Viticultural roots in a distant past; mythical legends of adventurers, heroes and empire builders settling the land. Phocians, Greeks and Romans all planted grapes and made wine in the hot, rocky landscape of Provence. 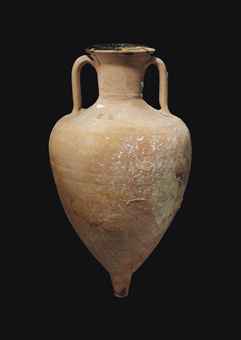 Ancient wrecks, tantalisingly close to the coast, have been discovered full of amphorae once full of Provençal wine. In these far off times the wealthy used wine bottles whose fragile glass is now oxidised with age. The masses used leather pouches, often lined with tar or resin, or earthenware jugs and pitchers. Old pottery storage jars for wine, with their ochre or green glaze around the rim, can still be found, scattered all over Provence, identifiable by a small tap or spout at their base. Today they are used as attractive flower pots bought at expensive garden centres and are seen outside rustic farmhouses and villas. Many pots were made by generations of Italian potters based around the hill-top village of Biot, near Cannes. As the popularity of of glass grew, the potters turned their hand to glass-making and the Biot glass industry developed. The first glassmakers settled in Biot in the eighteenth century, where they began to make functional glassware such as oil lamps and jars. Initially their work was not thought of as anything beautiful, but merely functional. 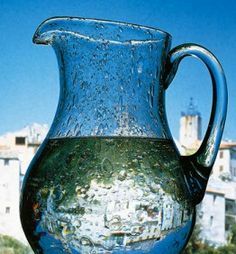 Biot is now known for its beautiful glass objects – its thick chunky style glassware filled with bubbles, apparently derived from glass made by a trainee glass-blower. La Verrierie de Biot was founded in 1956. It is distinctive and instantly recognisable as Biot Glass. Wine bottles, as we know them, did not appear until the early seventeenth century when improvements in technology and the handling of glass allowed the glassmakers to vary shapes with greater control and to produce stronger glass. Even with the improvement in the quality, wine was usually bought and stored in barrel and was only decanted into bottles for service at the table. Often sporting the family seal, they were globular in shape, with a short neck and had slight variations in capacity. The sloping-shouldered bottle started to appear around 1715 and by the mid eighteenth century this had evolved into the high-shouldered bottle. 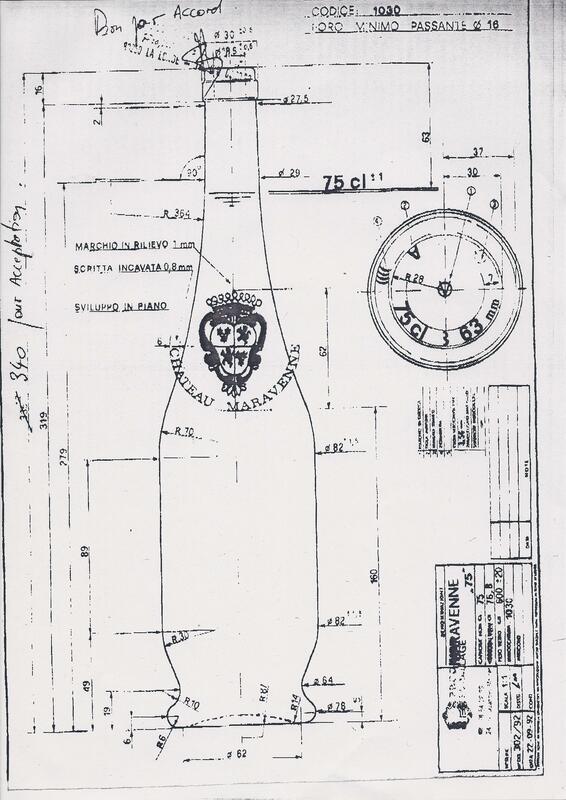 The development of longer, leaner bottles was not merely due to fashion. It was realised that wine improved if stored in an airtight bottle and for the bottles to remain airtight, it was vital that the bottle be stored horizontally, or upside down, to keep the cork moist. The old ‘globe and shaft’ bottles could not be laid on their sides and took up too much room if stored upside down – so new, leaner bottles evolved. This style of bottle remained largely unchanged until the twentieth century, when wine from all over Europe started to marketed to a wider audience. While the bulk of Provençal wine was sold en vrac, some wine was sold in a bottle with long sloping shoulders typical of Burgundy and the Rhône Valley. During the 1930s, Provençal domaines who produced quality wines started to think of bottling their wine – as opposed to relying on a negociant or shipper – and decided to design their own bottles. During the 1980s it was not uncommon to visit a Provençal domaine which used an individual bottle shape, to be told that it had been designed by the grandmother. The competition between the domaines must have been intense, as families vied to design the most elegant and distinctive bottle. 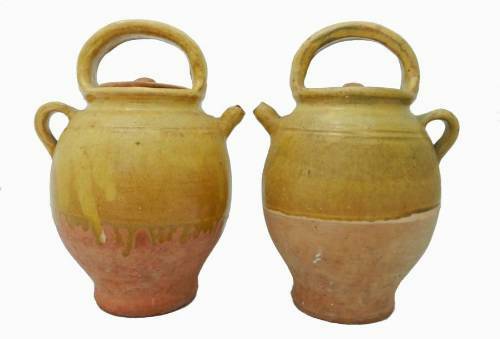 Many used the classical amphorae or medieval jars as their inspiration. The Domaine Ott bottle was created in 1930 to coincide with the launch of their quality organic wine at a time when few Provençal contemporaries were so commercially aware and, a move which kept them at the forefront of quality wine producers in Provence for the rest of the twentieth century. René Ott designed the bottle, with the long sloping shoulders similar to that of the Rhone bottle, with a bulging middle and and a narrow base with a small flared rim (left). Aimed at the restaurant market, the new bottle was instantly recognisable as a wine from Domaine Ott with its unique packaging. Ott continue to use a similar bottle shape (right). Baron Henri Rasque de Laval of Château Ste Roseline told me how, in 1949 the ‘Torch of Medusa’ shaped bottle, based on that of an ancient lantern with a wide base and a long tapering neck, was created by his family, and named after the Confrerie de Meduse, a seventeenth century association which guaranteed wine to returning sailors in Marseille. In 1951 Baron de Laval revived the Confrerie de Meduse Association, creating the guild of Provençal winemakers, to promote the wines of Provence. He proposed the shape as the bottle shape for all Provençal wine, but Château Ste Roseline remains the only estate using it. 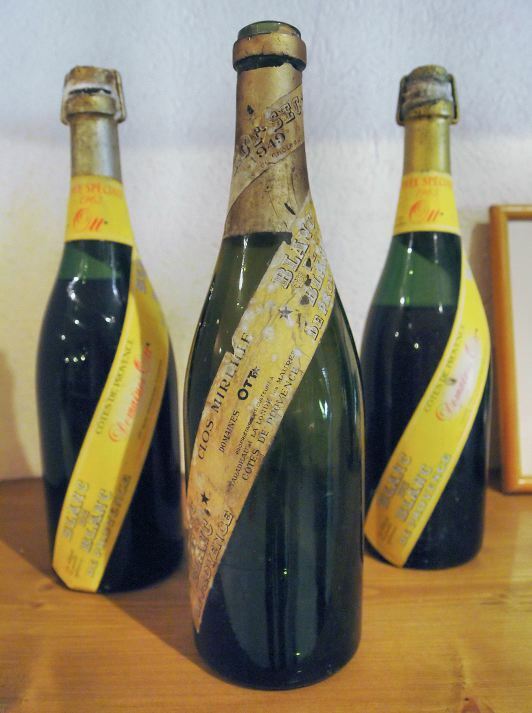 In 1954 the Fabre family, who had been bottling their wine since 1932, decided to design their own bottle. Their aim was to create a bottle both elegant and practical. Their principal client in the early 1950s was with ‘Wagons-Lits’. Wagons-Lits requested that the heavy bottle have a heavy base to give it extra stability on the trains’ restaurant tables. 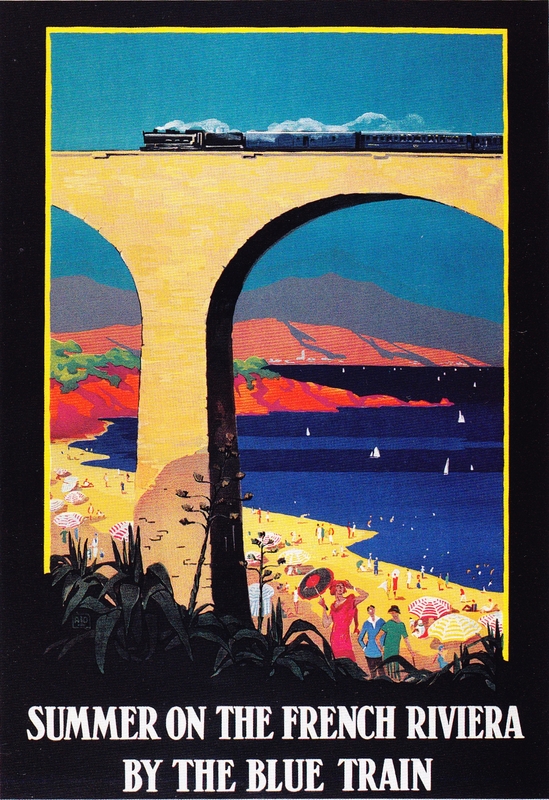 Le Train Bleu (the Blue Train) had been the glamorous way to travel down to the Riviera before the Second World War. During the 1950s, when more people were travelling on holiday and the South of France was becoming an increasingly popular travel destination amongst a greater number of people, this became a visible marketing image for the wines of Provence. Domaine de la Courtade, on the island of Porqueyrolles, carefully thought out the image they were aiming to convey in the design of their bottle and label ‘chosen to encapsulate yet challenge tradition.’ This is reflected in winemaking – radical at the time in the late 1980s for using traditional grapes made in a modern ‘new world’ style – creating big fruity wines. Their brochure illustrated how the design of the bottle was inspired by classical amphora, further emphsised by a picture of an amphora on the label. Château de Maravenne, in La Londe, launched a new bottle in 1993 for their special ‘Collection’ cuvee. The cost for the exclusive design and mould amounted to FF100,00 and the cost of each bottle was FF4.50. Attractive as these bottles are, the production of relatively small quantities means that their price was high – as much as FF3-4 a bottle compared to FF1 for the basic Bordeaux bottle. Despite these costs, new bottles are still being designed; the benefits of such an exclusive bottle shape is recognition. 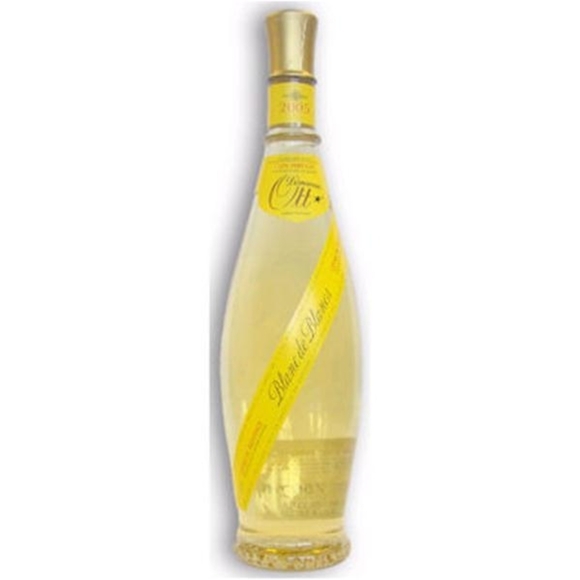 On a restaurant table the bottle would be instantly recognisable while in exclusive shops such as Fauchon the attractive bottle adds to the value of the wine as a gift. 1931, the ‘Syndicat de Defense des Côtes de Provence’ was created. They aimed, and still do, at maintaining the quality and image of the wines of the region. In 1960, as increasingly more vineyards bottled their own wine using either the Burgundy or Hollandaise bottle, the Syndicat decided to design and copyright its own bottle. The ‘flute a corset Provençal’, nicknamed the ‘Mae West’ (for obvious reasons) is only allowed to be used for domaine bottled wines and permission to use this bottle, nicknamed the ‘aubergine’ is reserved for use by négociant bottled wines but this is less strictly controlled. Only appellation Côtes de Provence wines are permitted to use either of these bottles. The original design for both bottles was for fractionally slimmer, taller bottles but current bottles are almost imperceptibly fatter and shorter. The reason? Purely practical – refrigerators, shelves and wine racks are built to cater for standard sizes and the original bottles, including some of the current special domaine bottles, did not, and still do not, fit. Although the different bottles indicate the source of bottling and the special domaine bottles reflect individuality and style, none of these fanciful designs can be regarded as a guarantee of quality although the expense incurred in the creation and use of exclusive domaine bottles do indicate pride in their wine. Many domaines only bottled their serious wines, top of the range or just their red and white wines in Bordeaux bottles while their everyday range, consumed by the tourists, as well as their rose wines, are only available in Provençal or ‘fantasy’ bottles. The situation has become a vicious circle. Attractive posters and advertising has associated, in the consumers mind, the voluptuous curves of the Provençal bottle with hot sunny Provence; wines to be drunk under umbrella pines by the sea along the Riviera and Cote d’Azur. Many tourists return from their holidays with memories of a wonderful wine, but they cannot remember the name, their only description being the unusual shape of the bottle. The image-making has succeeded, maybe too well, in symbolising the wines of Provence. 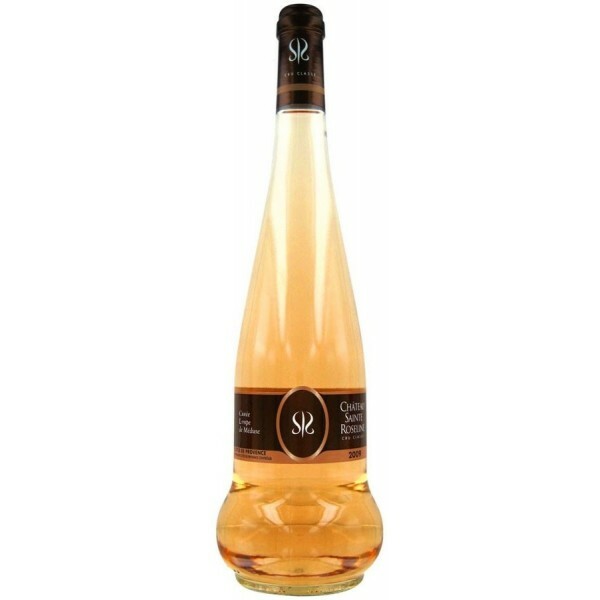 In England it was almost de rigeur for Provençal rose wine to be served in the Mae West bottle and many feel that repeated efforts to achieve serious recognition for rose wine is thwarted by this presentation. An idea was mooted in the early 1990s, that it would be a constructive policy to establish a corporate image for the wines of Cotes de Provence, but resistance is strong. The favoured design is an elongated Bordeaux-style bottle – broad shouldered with a tapered base, long neck and a high punt, similar to those found at Ste Marguerite, Château Minuty, Domaine de la Courtade, Château Ferry Lacombe, Castel Roubine and Domaine Rabiega. This elegant bottle is similar to the antique Italian and old Bordeaux bottle and harks back to the classical history of the Provençal vineyards in much the same way that the ‘flute a corset Provençal’ reflects the shape of the classical amphorae. The wines of Bandol already have a ruling that their wines all have to be bottled in Bordeaux bottles. In Coteaux d’Aix, an Aixoise bottle was designed with a double shoulder, but these bottles do not seem to have captured the imagination of many winemakers, so this has remained largely unknown. Within the small area of Les Baux, is plenty of variety, including the squat Hollandaise of Mas de Gourgonnier. Château la Coste uses(d) a similar Normandy bottle. Today, the quality of Provençal wines is constantly improving and a new revitalised image is required, but whether the individualistic growers of Provence are prepared to conform, when they have put so much effort into establishing their own identity, is another question. Regional image is established with Bordeaux bottles with high shoulders, Burgundy and Rhone with sloping shoulders but Chianti has long since lost its distinctive flask shaped bottle covered in straw which became associated with cheap and cheerful student wine, and the long slim shoulder-less bottles of Germany, green for the Mosel, brown for the Rhine, have largely disappeared as growers try to reach a more international market.